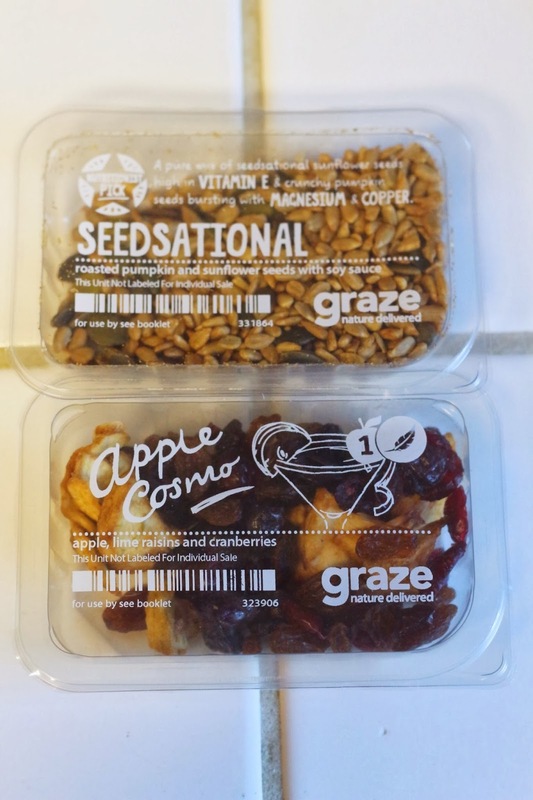 Evolution of a Foodie: Graze Nibblebox 2 Review and Free Box Code! Graze Nibblebox 2 Review and Free Box Code! I received my second Graze Nibblebox! 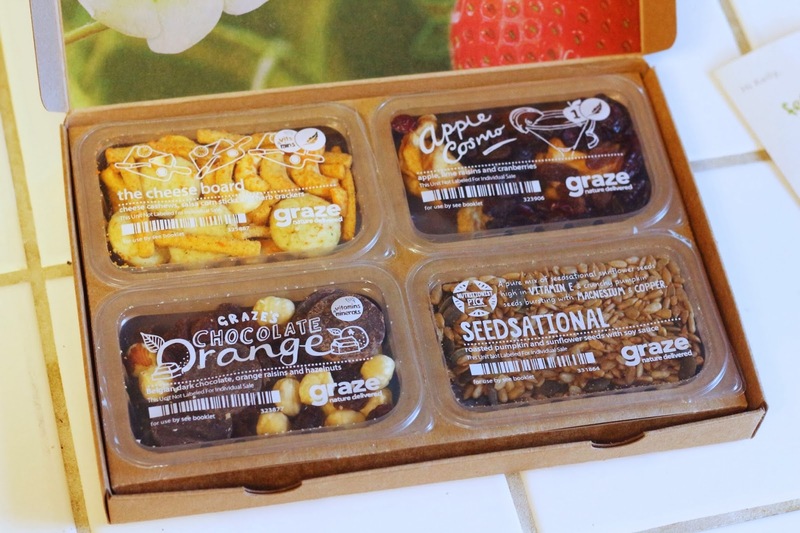 I already reviewed one previous Graze box here, and I was a little sad I only liked about half the snacks inside the first box, but that wasn't the case with my second box! I got this right before we were about to make dinner, and my mom and I dove into these snacks like we weren't going to eat for days! All of the flavors I received were delicious, and I hope I get these again. Seedsational - this was just roasted pumpkin and sunflower seeds with soy sauce, but it was so delicious! It must have been the soy sauce that gave them a slight salty flavor. Apple Cosmo - This was dried apples, lime infused raisins, and dried cranberries. This was one I wasn't sure of when I first looked at it, but it has such a great flavor when you get a bite of each component. Not my favorite of the bunch, but I definitely liked it. Chocolate Orange - Dark chocolate, orange infused raisins and hazelnuts. Man oh man, who knew orange infused raisins were so good! I think Graze is really onto something with these flavor infused raisins. I want to try making them at home! The Cheese Board - I think this was my hands down favorite of this bunch of snacks. While I do love a sweet snack, I can't get enough of savory snacks. Cheese cashews, salsa corn sticks and herb crackers were so good! Graze is $6 a box, and you can chose how often you receive the boxes, every 2 weeks or every 4 weeks. If you want to try Graze for free, here's a link to a free code. They'll give you the first box free, and you can cancel after that if you'd like, or if you stick with it you'll also get the 5th box for free as well! Do you subscribe to Graze? What do you think of the service? What snack flavors are your favorite? Let me know in the comments! 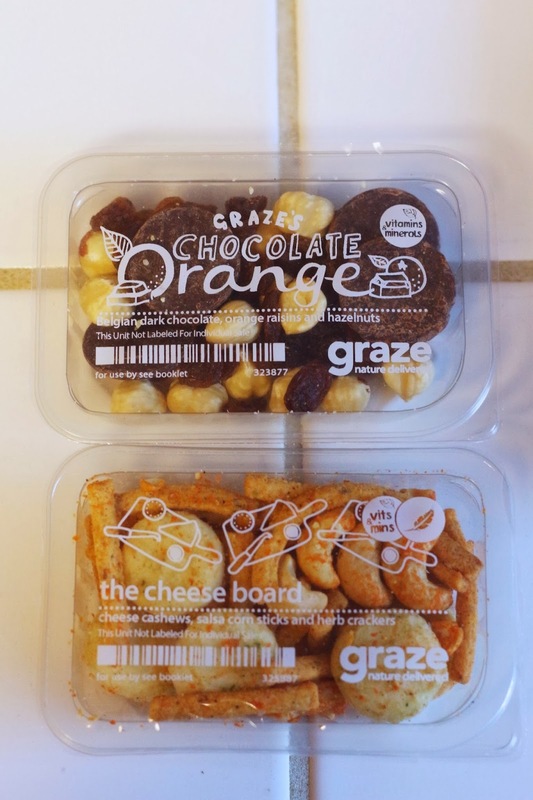 For all other Graze reviews click here.